Christian D. Reese, 25, of Waukegan, is wanted by police for allegedly shooting a man in the parking lot of a hotel in Gurnee in January. Police said that an arrest warrant has been issued for a 25-year-old Waukegan man accused of shooting another man in the chest in a Gurnee hotel parking lot in January. 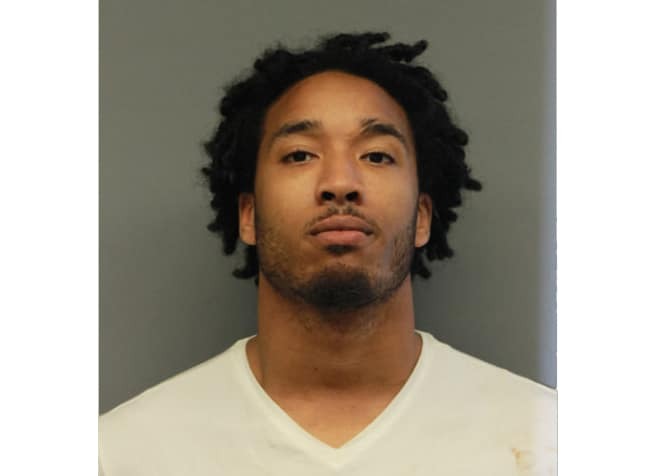 Christian D. Reese, 25, of Waukegan, has been named in a five-county felony warrant on charges of armed violence, aggravated battery through the discharge of a firearm, aggravated discharge of a firearm, unlawful possession of a weapon by a felon and aggravated battery. The Gurnee Police Department and the Gurnee Fire Department responded at 7:38 p.m. January 4 to the lobby of the Comfort Inn, 6080 Gurnee Mills Circle East, for a report of a gunshot victim. Gurnee Deputy Police Chief Jesse Gonzalez said that responding officers found a 42-year-old man with a gunshot wound to his chest. He was conscious and alert at the scene, Gonzalez added. “Officers began first aid on the victim while waiting for the ambulance to arrive. The victim was then transported to the hospital by ambulance,” Gonzalez said. The man told police that he was in the parking lot of the hotel when someone in a vehicle shot him and drove away. He walked into the lobby of the hotel for help. The hotel is located next to the Steak ‘n Shake on the east side of the Gurnee Mills mall. On Wednesday, Gurnee police announced that Lake County Associate Judge Charles Johnson authorized the warrant for Reese. “Reese is considered armed and dangerous and members of the public are encouraged to not attempt to approach or attempt apprehension,” Gurnee police said. Anyone with information regarding the whereabouts of Reese are asked to call the Gurnee Police Department at 847-599-7000.